Grinzinger Star has ended the winning streak of Mr Quickie with a narrow victory at Caulfield. Mr Quickie’s winning sequence has come to an end but his trainer Phillip Stokes believes the gelding is still on track for next month’s Group One South Australian Derby. 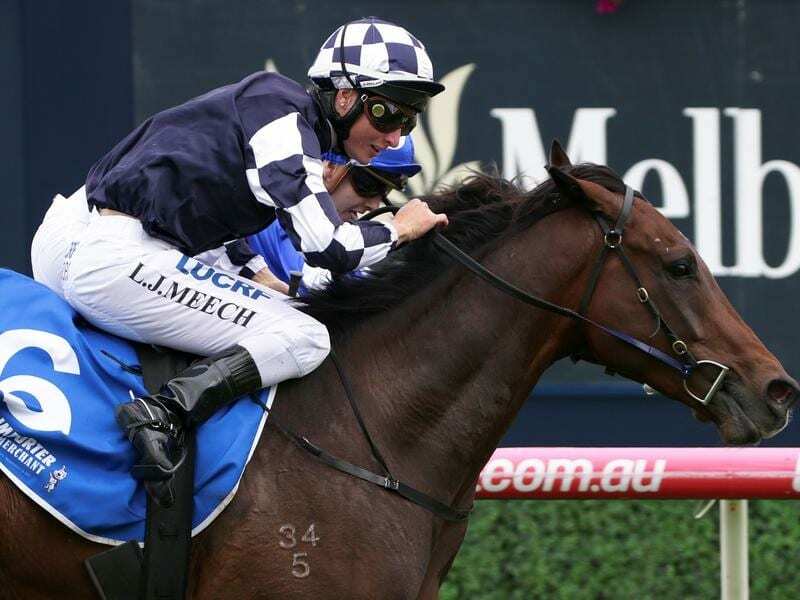 Three-year-old Mr Quickie was chasing his seventh win in a row, and third this preparation, when sent out the $1.65 favourite in Saturday’s Tile Importer Handicap (1600m) at Caulfield. Carrying 60kg after apprentice Ethan Brown’s 1.5kg claim, Mr Quickie was giving at least 6kg to all his rivals and raced to the front approaching the 200m but was overhauled in the final strides by Grinzinger Star who had stalked the favourite. The Danny O’Brien-trained Grinzinger Star, ridden by Linda Meech, scored by a short half-head with Star Missile was another 1-1/2-lengths away third. Despite the narrow defeat Stokes said he was still happy with Mr Quickie’s effort and felt the weight, giving 6kg to the runner-up, just anchored him late. “He had to get rolling when he did but it has probably told on him the last bit,” Stokes said. “We’ve still got question marks over whether he ran the trip strongly,” O’Brien’s assistant trainer Ben Gleeson said. “His distance is looking ideally around the 2000 metre mark. “He has come on a lot since his first-up run and Linda rode him beautifully today.